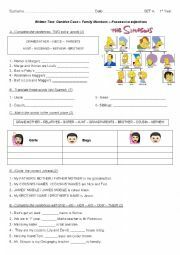 This is a test about family members and the use of the possessive case and the possessive adjectives. Here you´ll find the set A, later on I´ll upload the set B. 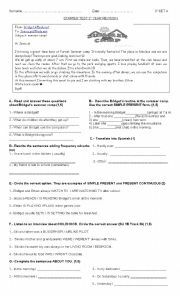 This is set B (you can also find set A) of the tests I´ve prepared to check vocabulary related to family members, a revision of possessive adjectives and also the possessive case. 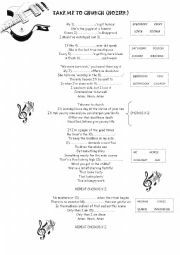 This is the set B of the diagnostic test I´ve uploaded before. This exam can be used as a diagnostic test. The listening activity was taken from the Sign Up to English textbook 1B. Hozier : "Take me to Church song"
This is a True/False activity based on the movie I´m Number Four.It can be used for the first 40 minutes of the film.